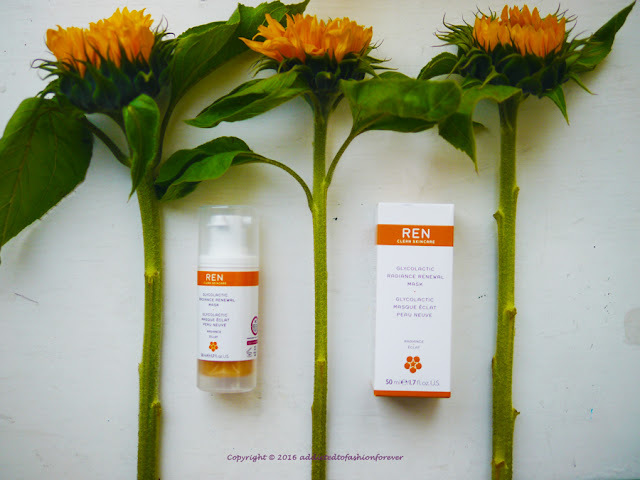 Summer can involve some annoying skin concerns, such as greasy skin, clogged pores, sun spots and an increase in overall sensitivity making it harder to get fresh faced radiant glow. 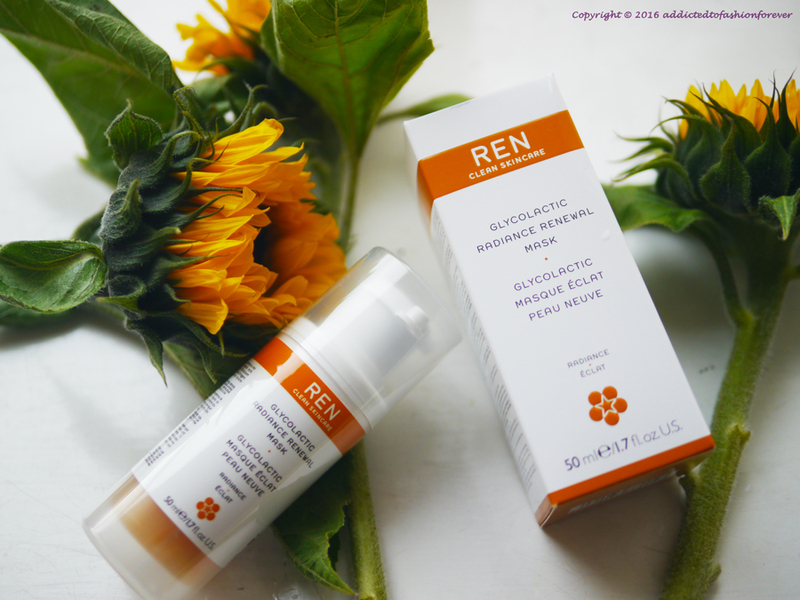 With a huge following for its ability to instantly renew and brighten skin REN Clean Skincare has recently introduced to the market fantastic Ren Glycolactic Radiance Renewal Mask. The mask is a gentle peel that contains a potent blend of bio actives to renew the complexion, reduce the appearance of fine lines and dramatically improve skin tone. 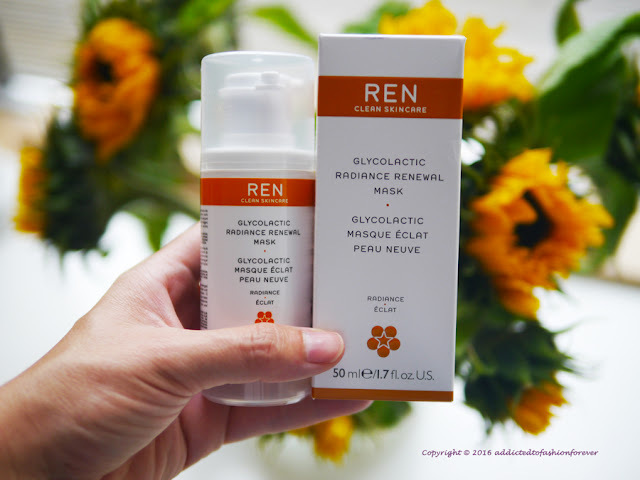 Ren Glycolactic Radiance Renewal Mask has an immediate beauty-boosting effect, delivering a “post-facial” like glow, skin is instantly brighter and more radiant. The natural fruit extract complex of passion fruit, lemon, grape and pineapple combined with papain smooths the skin’s surface to soften the appearance of fine lines, reduce pores and combat blackheads. A dose of Omega 3 and Omega 7 from Arctic Blackcurrant Seed Oil repairs and regenerates the skin, leaving skin looking luminous and noticeably more youthful.